St Petersburg is a great bicycling city. We have several bike trails and multi-use paths in parks and pathways around the community. Riding a bicycle on roads or close to them can be very dangerous. Motor vehicle drivers who are unsafe, drive at high speeds, texting and other distractions make it a bad and unsafe place to ride a bicycle in St Peterburg. Often times these accidents happen in a matter of seconds and can be very serious. 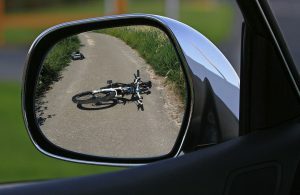 Due to the small frames and lack of protection that bicycles provide the rider, even a minor accident could result in injury. Bike riders bicyclists are susceptible to head and spinal cord injuries which could be permanent or long periods of recovery. Following a St Pete bicycle accident the injured person may miss work or face lengthy rehabilitation. Medical bills don’t go away and dealing with Insurance companies can be overwhelming. At Rice Law Group of St Petersburg our attorneys can assist in finding you treatment for your injuries, investigate all aspects of your bicycle accident. There are times when negligent drivers as well as insurance companies lack the understanding of law in a particular personal injury case. The personal injury attorney’s at Rice Law Group of St Petersburg will be there to advise and guide you throughout your entire bicycle accident case. Our primary concern is your well being and due compensation for the injuries you sustained. After a bicycle accident it is best to talk with an attorney that you feel comfortable with to better understand your rights and the legal process. 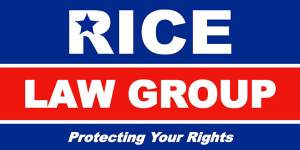 Contact the attorneys at Rice Law Group for a free case evaluation. We have been protecting the rights of bicyclists in St Pete for over 30 years.